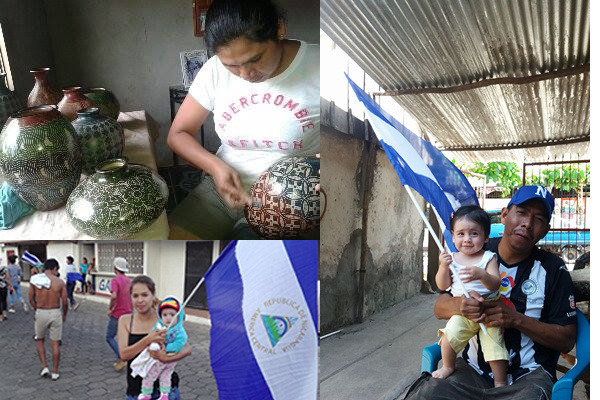 Our friend Romeo the Potter has fled the violence and death threats to his family in Nicaragua. He has left behind everything. His neighborhood is now ground zero in the brewing civil war. His friends here in Costa Rica want to help him to relocate his family, (wife, son, daughter and granddaughter). the rainy season. The family is willing to do whatever they need to survive here. Ideally, we would find a potters' wheel and some clay so that they can continue the family pottery business. Locally, there is a network of friends that are taking up collections of household items and food. The need is Urgent, the time is Now. posting updates here until we get thru this acute phase. 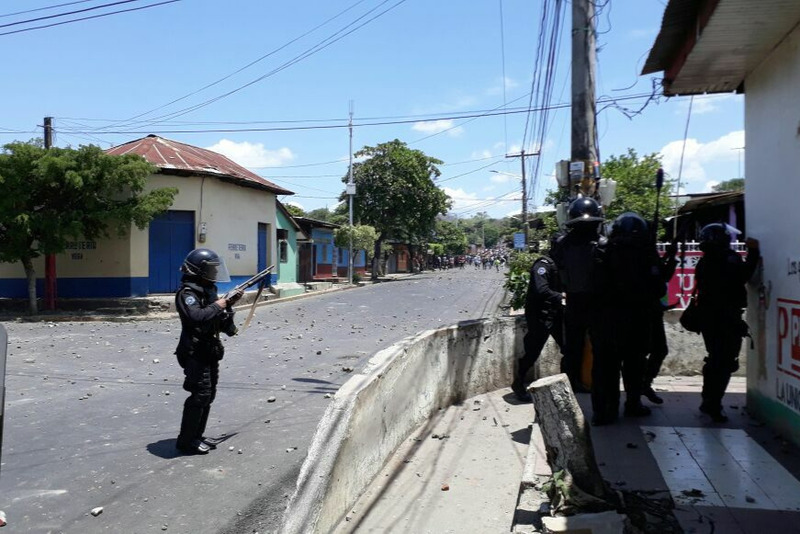 Friends, we are very grateful for your support of our campaign to help Romeo and his family, who had to leave Nicaragua after they received death threats from the current regime. The family is currently in a safe house. Many of you have generously donated monies to this campaign - so far it has raised $900 of our goal of $2000. In addition, local cash donations of $400 have been raised. In terms of material goods, we have received food and clothing and basic household goods like laundry and dish soap, and fortunately there is room in the house to store items for their future needs. A double bed is coming, there is already a small table, and some kitchen items are arriving tomorrow. The photo attached is from their neighborhood before they had to leave. We are very glad that this family was able to get to safe ground, and continue to send prayers for the safety of their friends and family members that had to stay behind. Again, thank you everyone for your support! And if you haven't yet made a donation, ANY amount is appreciated. Please feel free to forward this message to others who might be inclined to help. Blessings to all! 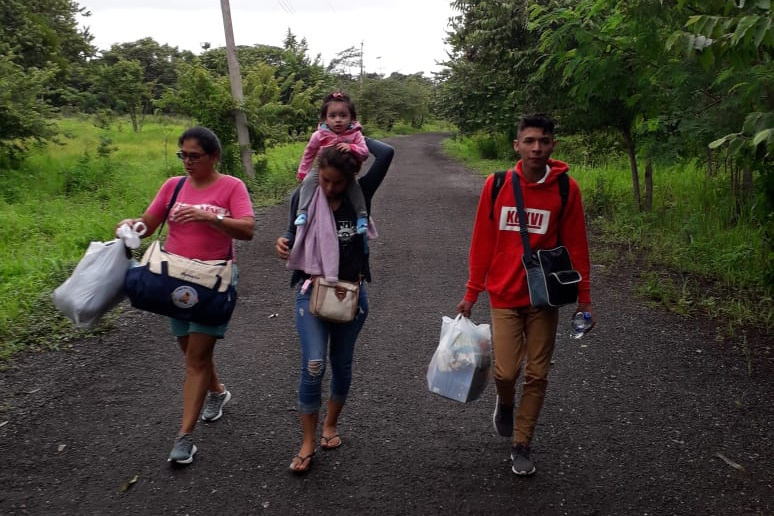 I am so pleased to report that Romeo was able to get his family thru the border and all are now safely in Costa Rica, headed for our town of Grecia. Awesome Allies have donated cash, food, household items and even a place to stay for the time being. I let Romeo know and he sent back icons of tears. He is so overwhelmed and grateful that there aren't words. We are just starting this, the urgent stage is less urgent but there is still a long road ahead. Please share this story and link, it not only helps our artist friend and family but spreads awareness about the situation in Nicaragua. Thank you all for being stand-up humans!